APCC works hard year-round to provide important information and handy safety guides to pet parents nationwide to make sure they have all the facts about the dangers of potential pet toxins. In 2018 alone, APCC received 213,773 cases concerning potential poisonings. See what made the 2018 top 10 list below! 6. Household items remain at number six this year, accounting for 7.3% of last year’s cases. 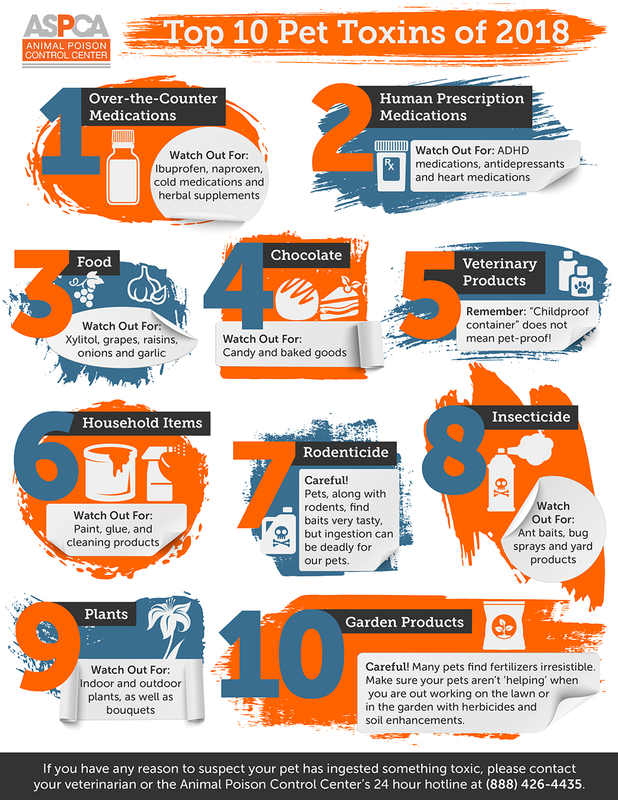 Household items including paint, glue and cleaning products—though not necessarily a tasty group of toxins--are often easily accessible and in close proximity to our furry friends.